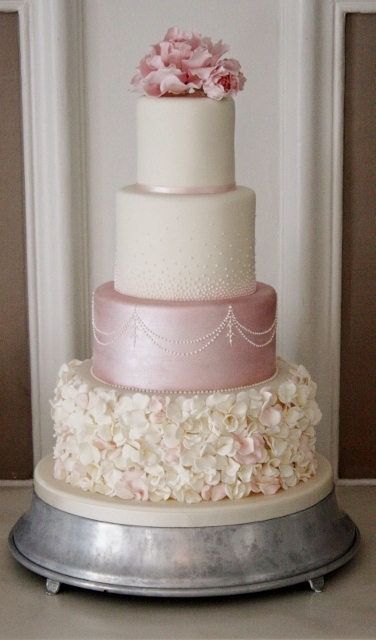 Four tier wedding cake at The George in Rye, Sussex. Base tier of Belgian Couverture Chocolate sponge with whipped ganache filling, covered in delicate ruffled, graduated petals of ivory and blush pink. 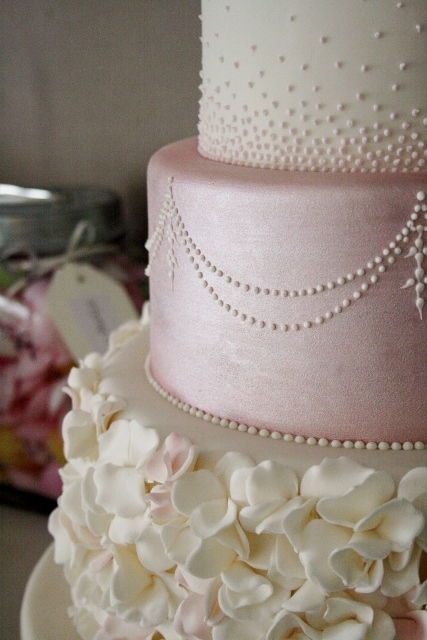 Tier one of Vanilla sponge with Madagascan vanilla bean paste whipped buttercream and Raspberry conserve, iced and finished in a blush pink lustre with hand piped swag and droplet design in ivory. Tier two of fresh carrot cake with orange oil and zest whipped buttercream, finished in ivory icing with hand piped blush pink graduated microdots. 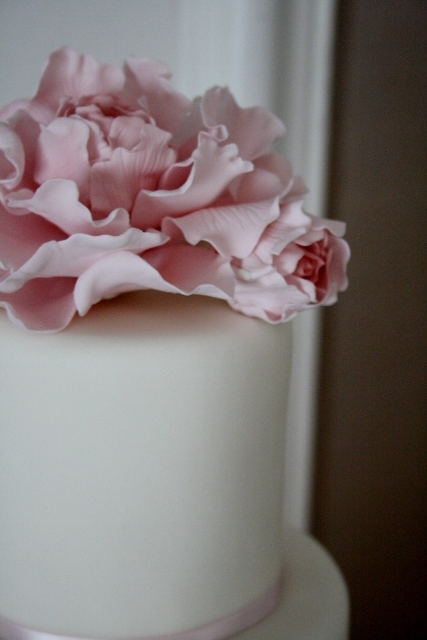 Tier three of fresh rich coffee and walnut sponge cake with fresh whipped coffee buttercream, finished in ivory icing with blush pink fine satin ribboning and a sugar full bloom blush pink peony and buds. All tiers covered in Belgian couverture chocolate ganache base prior to icing. Cake serves 130 finger portions.